At my weekly Toastmasters club meeting this past week, I had the honor of presenting one of the club's members who is also a best friend with a few silly aviation-related gag gifts in celebration of him earning his private ticket one day before. The giant pencil was a hoot, meant to poke fun at his possibly obsessive affinity for carrying the exact retractable pencil in the cockpit. As I introduced him, I asked the club how many licensed pilots they would find in a room full of 1,000 people. One guess was 21, the other 16...neither was remotely close to the correct number of two. Yes, out of a country consisting of an estimated 309,891,332 humans, there were only 594,285 active airmen certificates held as of 12/09. Pilot Michael Combs is currently on a mission to fly a Remos GX Light Sport Aircraft named "Hope One" to 136 stops beginning in Salina, Kansas and ending in Honolulu, Hawaii, a trip that began this past April. The plan is to hit all 50 states, and fly a total distance exceeding 22,000 miles. Called "The Flight for the Human Spirit," the effort is meant to be encouragement for every soul he meets to never, ever give up on their dreams. "As the millions look up at the aircraft as it soars through the sky, or follow this amazing story online, they will be reminded of their own dreams," Combs' site says. "They will peer to the depths of their soul knowing that it is never, ever too late to achieve their fullest potential. 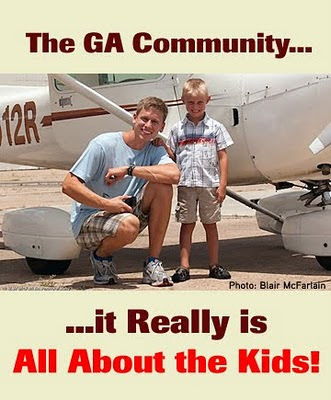 The goal is to touch 20 million lives using aviation as the method of bringing his message to the masses. 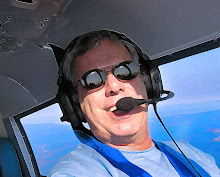 Vincent Lambercy of plasticpilot.net is a Swiss private pilot, now living near Frankfurt (Germany) and Jason Schappert is a 1,500 hour CFI in Florida who owns and operates N512R, an IFR equipped Cessna 150 that might be one of the cherriest 150s you will see. Together they recently completed a 23-day flight from the Atlantic Ocean to Catalina Island in the Pacific ocean, abeam Los Angeles. Full of wild weather and adventures, the 31 individual legs included 62 hours 50 minutes of flying, with a sole mission to promote GA to anyone they met. "When we started the Flying Across America project to promote general aviation," Lambercy said, "we asked people for financial support but also for help with accommodations and local media. We established lots of contacts during the year we spent preparing the flight, and most of the accommodations got covered. At four places, organizations or supporters booked hotel rooms for us, and at six of our stops, the plan was to stay overnight directly by some fans. Yes, at their place, like we were family! We also received other kinds of support like opportunities to talk at aviation events, give TV interviews, visit museums... the list of what the aviation community offered to us goes on and on..."
"To be honest," Lambercy continues, "when we started this, I expected some supporters of our project to vanish at the last minute, because people sometimes tend to promise too much, or simply because life happens. After 23 days of flying from Florida to California and back, we can now say it: everybody showed up!! Plans changed, yes, and dates slipped, which was not unexpected given the nature of the project. But because supporters along our route are aviators (yes, aviators, like pilots but with more passion and with style), they did all they could to cope with these last minute changes and help us." "One of the messages we wanted to pass along with this project is that aviation is not made of individuals locked-up in their cockpits. Each pilot certificate comes with a life-long membership in the great family of aviation. Whatever your experience, the kind of flying you do, if you are a pilot you can instantly communicate with other pilots and be understood. This works across distance, culture, languages, age...because aviation carries universal values, and solidarity is one of them." Wow, dude, that's deep..but also RIGHT ON! To preserve GA for years to come, it seems we aviators all have one common thread running through our flying careers, and that is to turn kids on to flying. We all love taking up wide-eyed young humans for their first airplane ride, it is part of the DNA each pilot is built from. Of course, EAA's Young Eagles program – which has flown more than 1.5 million "first flights" in 90 countries by 42,000 volunteer pilots – is the leader in promoting aviation for the NextGen kids hanging on the airport fences of every little patch in every town in the land. To be sure GA thrives long after we lose our medicals, each and every pilot MUST groom at least one new pilot. As part of this wonderful aviation community, it is our duty to bring what we do to the public, and that always starts with kids. Smiling kids coming out of Duggy, or the young girls flocking to the Girls With Wings booth at Airventure, it does not matter. All that matters is that we take Lambercy's advice to remain in blissful solidarity to make sure we accomplish the goal of launching dreams, lighting fires and dragging new people to a flight school lobby near you. We do that, friends, we prosper. We get lazy and, well, I don't EVEN want to go there. A 'BizBlimp'...such a far out concept?